It is with great sadness that we just learned of Jon Naar's passing. 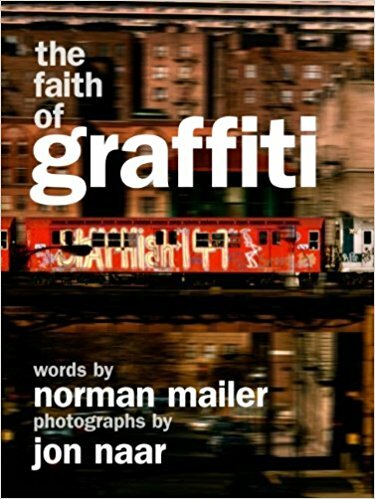 Jon took the photographs for Faith Of Graffiti, the seminal book on subway art in 1972. His eye for design brought a new perspecitve to "vandalism" and facilitated Norman Mailer's essay where he calls graffiti, art. We became friends with Jon just over the past decade. We were happy to collaborate with him to create a limited edition book + print package when the soft cover of Faith Of Graffiti was released and adding a limited edition print of "Red Bird" to accompany the book. We were entertained by his stories of his time in British Intelligence and of the day he stepped out of the subway station at 125th street and met his young "writers". Jon was always active and up for a new project. His passion never waned and his energy contagious. One of our favorite moments was when we collaborated with Jon at Knoll for a panel discussion including Massimo Vignelli (creator of the subway graphic design) and Mike 171 and Butler, graffiti artists from Faith of Graffiti. Massimo had never met a graffiti writer and of course, the writers had not met the designer. When Massimo learned why Mike 171 and Butler were writing on the walls, signage and trains, he had a new perspective and new respect for what he had previously considered vandalism. We are thankful to Jon for being the catalyst of this converstaion. Our thougths are with Jon's family.